Dianthus caryophyllus, on its more popular name, carnation or Sweet William is a simple, old, garden flower. These pretty frilled flower decorate the gardens from May to late summer in a great variety of colors. 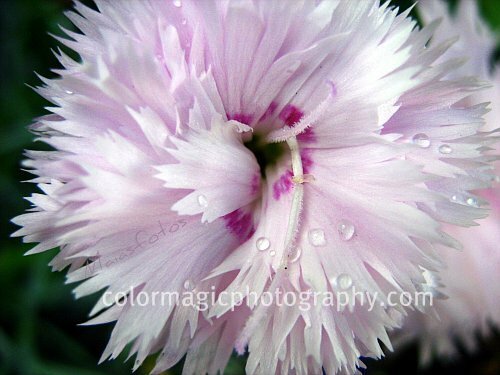 Here is a lovely smoky pink dianthus flower. Though, it is not visible in the photo, the foliage of this variety of Sweet William has a beautiful silver-green color. Visit Macro Monday for many beautiful macro photos. Wonderful details - thanks for sharing! that is just gorgeous! We have no flowers to speak of here. Make a wish - blow the dandelion!